Our customizable beverage stir sticks are a fun addition for cocktails and drinks at your event. 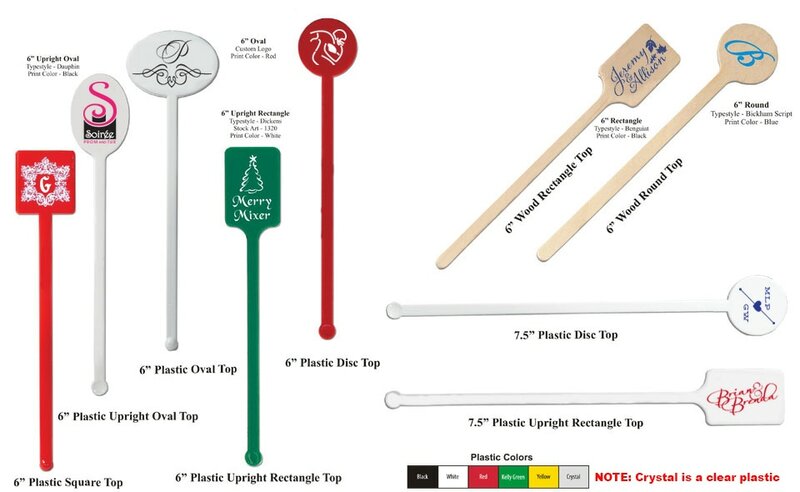 We can print your logo, custom artwork (possibly to match your invitation suite), monogram, or choice of available typestyles and stock art on a variety of wooden or plastic swizzle stick styles. TO AVOID POSSIBLE RUSH FEES, please submit your order a minimum of 3 weeks prior to your needed-by date. As always, placing your order sooner is always better than later! Your invoice and PDF proof will be sent to you by email. 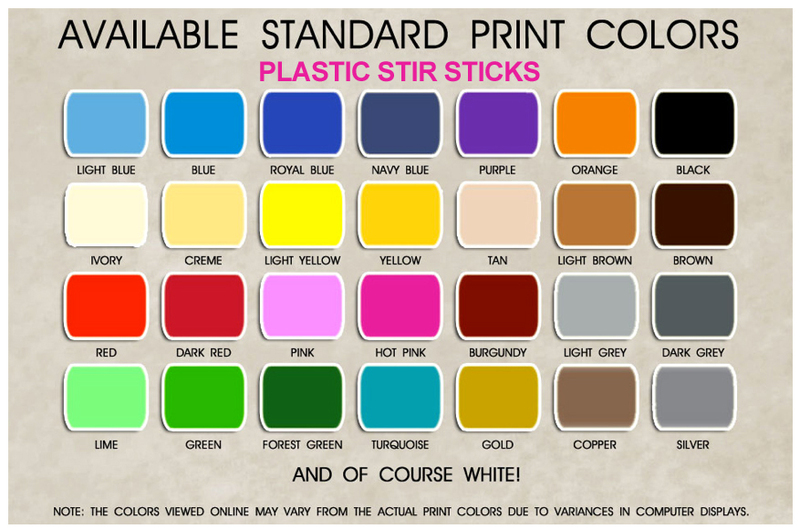 If you are ordering PLASTIC stirrers, please select a color here. 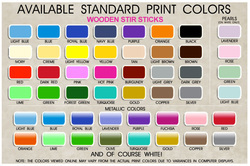 Wooden stirrers are natural wood color only. If using stock art, specify the name or number of your preferred monogram, stock art, or typestyle here. See the available artwork links in the right column of this page. Metallic Foil Adhesion: Although foil printing creates a more beautiful and dramatic look, it does have a tendency to bleed, rub off, fill in or blur slightly. Metallic Foil and Pearl colors NOT available for plastic sticks. *It typically takes a minimum of 2-3 weeks to process your order without any rush charges and using ground shipping. We recommend ordering 3 wks ahead or more. This date is flexible. This is last possible date I can receive my order. Please describe your custom art needs or provide any other details here. After you hit the "SUBMIT" button, you should see a confirmation page (if using a computer). If submitting this form via a mobile phone, the mobile website may not direct you to the confirmation page. If you do not receive a response within 1 business day, please submit the form again or email us directly info@peacockpaperie.com. 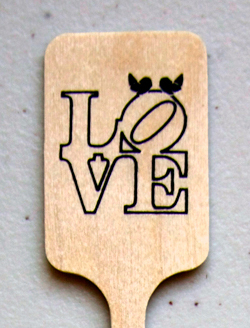 Incorporate your designs from your wedding invitation suite or create something new. Use "Comments" box to describe your needs. If providing your own artwork, see specs for this option at bottom of this column. 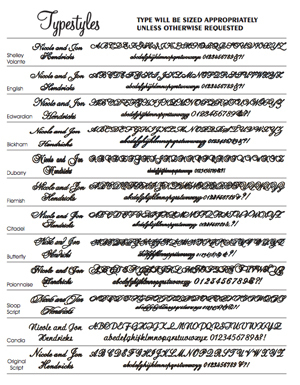 Click image on right to view stock monogram styles. Click image on right to view stock art. 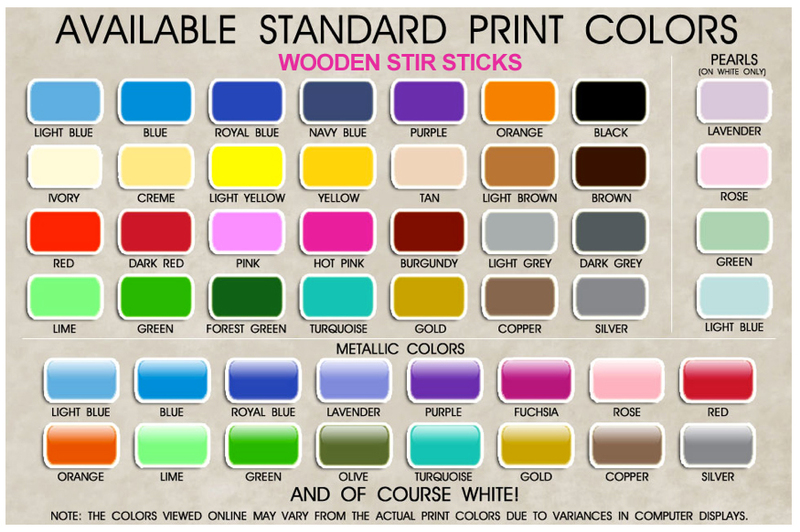 NOTE: We will re-size your provided artwork to fit the stick template and email you a digi proof for your approval prior to printing. ALL ORDERS will receive a digital proof via email prior to printing and we will require your approval before your items are printed.